Centre Block on Pairlament Hill, the Naitional War Memorial in dountoun Ottawa, the Naitional Gallery o Canadae, an the Rideau Canal an Château Laurier. Written in the twa offeecial leids. 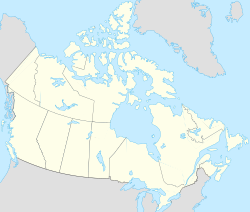 Ottawa is the caipital o Canadae, a municipality an the seicont lairgest ceety athin the province o Ontario. Locatit in the Ottawa Valley, the fowert lairgest ceety in Canadae is an aa the poleetical caipital o the kintra. The ceety lies in the eastren portion o Soothren Ontario, the ceety lies on the Ottawa River, a major waterway formin the local bundary atween the provinces o Ontario an Quebec. Connectit bi several brigs tae its Quebec neighbour, the ceety o Gatineau on the northren shores o the Ottawa River, the twa ceeties an surroondin auries are designatit the Naitional Caipital Region (NCR). Though govrened bi separate municipal govrenments, the federal lands athin the region are admeenistered bi the Naitional Caipital Commission (NCC), a federal croun corporation chairged wi the responsibility o plannin an managin the federal govrenment's interests in the NCR. At present, Ottawa is host tae 130 embassies. A further 49 kintras accredit their embassies an missions in the Unitit States tae Canadae. ↑ 1.0 1.1 Art Montague (2008). "Ottawa Book of Everything" (PDF). MacIntyre Purcell Publishing. Retrieved 14 July 2011. ↑ 2.0 2.1 Justin D. Edwards; Douglas Ivison (2005). Downtown Canada: Writing Canadian Cities. University of Toronto Press. p. 35. ISBN 978-0-8020-8668-6. ↑ 3.0 3.1 "Population and dwelling counts, for Canada and census subdivisions (municipalities), 2006 and 2011 censuses — 100% data". Statistics Canada. Retrieved 10 February 2010. ↑ "Population and dwelling counts, for Canada, provinces and territories, and urban areas, 2006 and 2001 censuses – 100% data". Statistics Canada. 5 November 2008. Retrieved 23 September 2011. ↑ 5.0 5.1 "Population and dwelling counts, for census metropolitan areas, 2006 and 2011 censuses – 100% data". Statistics Canada. 5 November 2008. Retrieved 23 September 2011. ↑ "City of Ottawa – Design C". Ottawa.ca. 20 May 2010. Retrieved 26 October 2011. ↑ "Rapport au / Report to:". Ottawa.ca. 2011. Retrieved 26 October 2011. Wikimedia Commons haes media relatit tae Ottawa. This page wis last eeditit on 10 Mairch 2018, at 18:52.